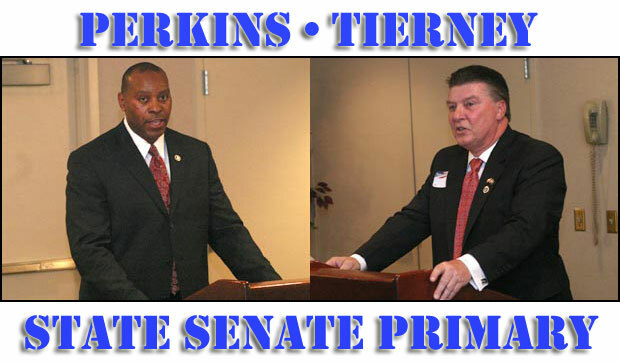 Here's the latest developments in the Democratic State Senate race between Duane Perkins and Terry Tierney. The Perkins campaign announced that they raised the money necessary by the primary deadline to qualify for the state's new public finance system. Duane Perkins, city of Danbury councilman and endorsed candidate for State Senate is proud to announce that he has raised the appropriate funds to qualify for the public financing system by the July 18th deadline, the paperwork was submitted early on Friday July 18th. Over the past months Duane has successfully raised over $15,000 and has a list of over 300 contributors to qualify. Duane is excited to move into the next phase of the campaign and spread his message throughout the 24th district. "I am very excited that Duane Perkins is about to qualify for public financing of his campaign to be our next State Senator. Failed Republican leadership at the state and national level has left our economy in a shambles and jeopardized the American Dream for too many Americans. Duane Perkins received overwhelming support at the 24th District convention, and will receive overwhelming support on primary day, because he is the only candidate who will bring new energy, vision and ideas to the State Senate. I'm confident that a strong victory on August 12th will set Duane on the path to victory in November." - Joe DaSilva, Jr., Chair Danbury Democratic Town Committee. "I am proud to have raised necessary $15,000 to qualify for the public campaign finance system. Nothing but hard work and dedication has brought us to where we are now, and hard work and dedication does not fall short when it comes to myself, my supporters and the citizens of the 24th district. We are going to run a hard campaign, and I am looking forward to facing the Republican Nominee in November." The Tierney campaign has scheduled a series of television appearances where he outlines his platform and in the case of the 23rd, will take live phone calls from his constituents on a range of issues. Democrat State Senate Candidate, Terry Tierney will appear on Common Sense this Friday evening at 7:30 pm on Comcast's channel 23 to discuss the key campaign issues that are important to the voters of the 24th Senate District. Common Sense is hosted by Probethel party Chairman, Bob Crnic. State Senate 24th district Democrat Primary candidate, Terry Tierney will be appearing LIVE on Common Sense in a one hour live call-in show airing on July 23rd at 8pm on comcast Channel 23. Democrat State Senate candidate Terry Tierney will be discussing his upcoming State Senate Democrat Primary against Duane Perkins on August 12th along with current issues and challenges facing Connecticut residents and businesses and responding to viewer call-in questions. Common Sense is hosted by Bob Crnic, chairman of the Pro-Bethel Party. We'll have Tierney's appearance from Friday posted on this site early next week. BE on the lookout for an ad from the Tierney camp on this site where you can download his platform and learn more the man who feels that he's the best candidate to win the 24th State Senate seat. Today mark the three year anniversary of HatCityBLOG! This blog has come a long way from it's beginnings back in 2005 (actually, I started reporting and collecting information in Danbury back in 2004..but that's a different story) and I can honestly tell you that this blog wouldn't exist now if not for the support of it's readers. If you would have told me years ago that this site would be more popular than my first blog, I'd laugh at you. Three years and over 1,700 reader per week later, I can safely say that this blog has far pass my expectations. Thank you for making this site as popular as it is...I couldn't do it without your readership. Luis Ramirez came to the U.S. from Mexico six years ago to look for work, landing in this town in Pennsylvania's coal region. Here, he found steady employment, fathered two children and, his fiancee said, occasionally endured harassment by white residents. Now he is headed back to Mexico in a coffin. The 25-year-old illegal immigrant was beaten over the weekend after an argument with a group of youths, including at least some players on the town's beloved high school football team, police said. Despite witness reports that the attackers yelled ethnic slurs, authorities say the beating wasn't racially motivated. Crystal Dillman, the victim's 24-year-old fiancee, who is white and grew up here, said Ramirez was often called derogatory names, including "dirty Mexican," and told to return to his homeland. "People in this town are very racist toward Hispanic people. They think right away if you're Mexican, you're illegal, and you're no good," said Dillman, who has two young children by Ramirez and a 3-year-old who thought of him as her father. On Dillman's fireplace mantel hangs a medallion of Jesus that Ramirez was wearing the night he was beaten. Ramirez had an imprint of the medallion on his chest, marking where an assailant stomped on him, she said. Police Chief Matthew Nestor acknowledged there have been problems as the community—the birthplace of big band musicians Tommy and Jimmy Dorsey and home of Mrs. T's Pierogies—has tried to adjust to an influx of Hispanics, who now comprise as much as 10 percent of the population. Teenagers have sprayed racially tinged graffiti and yelled racial slurs at the newcomers, he said. "Things are definitely not the way they used to be even 10 years ago. Things have changed here radically," Nestor said. "Some people could adapt to the changes and some just have a difficult time doing it. ... Yeah, there is tension at times. You can't deny that." Retired Philadelphia police Officer Eileen Burke, who lives on the street where the fight occurred, told The Associated Press she heard a youth scream at one of Ramirez's friends after the beating to tell her Mexican friends to get out of Shenandoah, "or you're going to be laying next to him." Arielle Garcia and her husband, who were with Ramirez when he was beaten late Saturday, said they had dropped their friend off at a park but returned when he called to say he had gotten into a fight. She saw someone kick Ramirez in the head, she said, and "that's when he started shaking and foaming out of the mouth." The Garcias said they heard the youths call Ramirez "stupid Mexican" and an ethnic slur. Burke, the former Philadelphia officer, said she saw shirtless youths swarming around Ramirez, called 911 and went outside, when she heard a youth yell obscenities and make the get-out-of-Shenandoah remark. Ethnic slurs against immigrants from racists? Calls of violence (and death threats) towards immigrants? The Human rights organization Breakthrough has released a video with a first hand account of the deaths of immigrants held in detention by ICE. The story of immigrant deaths in detention was also recently reported in The New York Times and The Washington Post. I'm putting the finishing touches on a new section of this blog which will be dedicated on eliminating the elected position of City Clerk. Be on the lookout on the new site in the coming days. Tonight, the continuation of the public hearing for the application of Interstate Business Center, LLC – Special Exception/Revised Site Plan for the Prindle Lane Centre at Prindle La continues. The plan, which critics claim will increase the amount of traffic on Mill Plain Road, has been met with overwhelming amount of opposition and tonight hearing should be VERY interesting with the applicant presenting their traffic report for the proposed development. 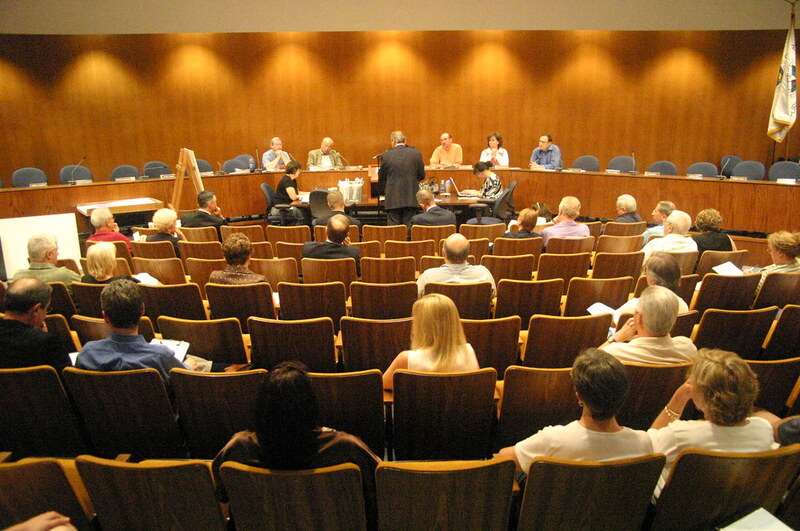 The hearing is listed as item three under continuation of public hearings and the Planning Commission meeting starts tonight at 7:30 P.M. in the Common Council chambers. I currently processing the video from the last meeting (7.2.08) and will post the footage later tonight. The end-of-the quarter fund raising reports are in and reading between the lines of David Cappiello's report can make your head spin. I'll try to explain Cappiello's mumble-jumble. First, Cappiello's camp is going to report that they raked in 446K this quarter and they've already released a statement proclaiming that they had a GREAT quarter. The numbers sounds good right? Well, not so fast...when you look closer at the numbers and actually break things down, it becomes very clear that Cappiello didn't have quite the breakout quarter that he's going to proclaim. You see, Cappiello has a rather complex money tree which requires a manual to understand. Cappiello has two money trees, one is his campaign's account called Committee to elect Cappiello for Congress. The other (where a MAJORITY of his contributions came from this quarter) is the Cappiello-Connecticut Victory 08, a joint fundraising account created by the Connecticut Republicans and the Cappiello camp. When you look at BOTH accounts, you notice that the Cappiello-Connecticut Victory 08 account raised over 300,000 this quarter. 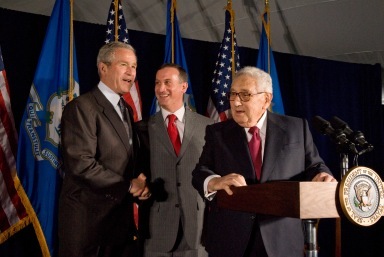 This money came primarily from one source...the Bush-Kissinger taxpayer-funder fundraiser from earlier this year hosted by the ConnecticutGOP. You know, the fundraiser that cost guests a whopping 1,000 per head to attend (it was reported that the affair netted about 750,000). Take the cash from the fundraiser out of the picture (aprox 300,000) and when you look at the campaign's report, you notice that the Cappiello campaign actually only raised $123K from direct contributions this quarter. So, in the end, Cappiello numbers aren't really what they appear to be. That's not to say that Cappiello isn't in decent shape BUT when you hear Cappiello's spin, read between the lines and take a look at where his money actually came from. UPDATE: Genghis over at CTLocalPolitics also did a breakdown of Cappiello's numbers. That's the figure the Murphy campaign will report raising this quarter. That beings Murphy's war chest to $2.27 million with $1.9 million on hand. Nothing from Cappiello's camp...can't wait to see how much he collected from the Bush-Kissinger taxpayer-funded fund raiser. Would you like some death threats with that racism? Danbury News-Times=all the comments that's fit to print. Genghis over at Connecticut Local Politics posted his analysis on the 5th district race which basically nails it when it comes to why Murphy should comfortably win the race. A lot of towns that are usually safe for Republicans voted in a Democrat in 2006. A lot of that has to do with national events and the particular dynamics of that race (i.e., Nancy Johnson blew it while Murphy ran a great campaign), but the fact remains that these towns aren’t nearly as “safe” as Republicans might have hoped. To illustrate the point, Murphy won Avon by almost 500 votes. Avon. Not exactly a hotbed of liberalism! So does that mean the political dynamics of this district are changing? In some places, I think they are. 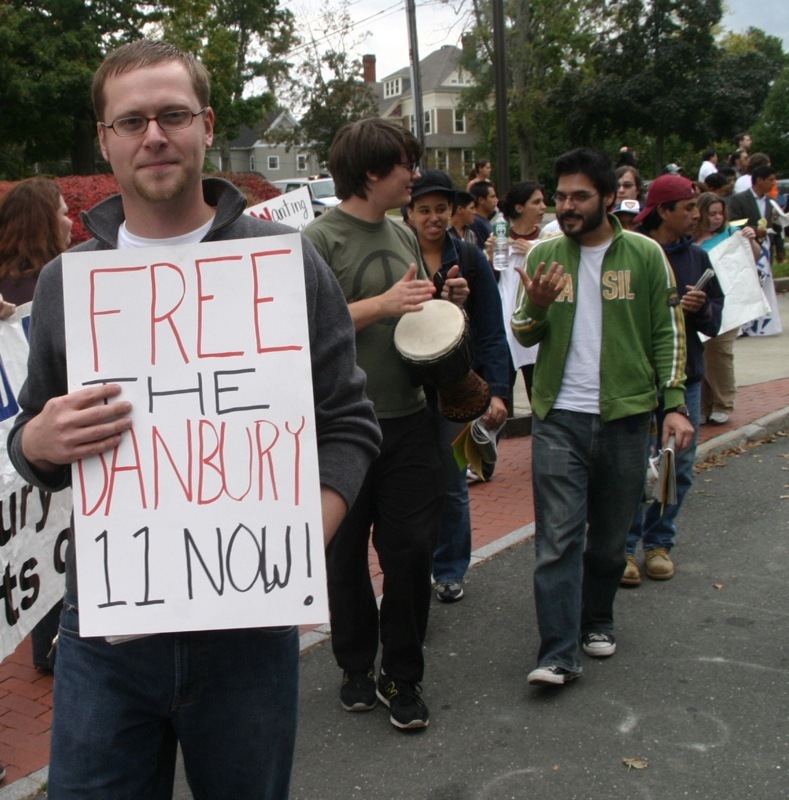 The Farmington Valley has been becoming ever more Democratic for most of this decade. But I think that what’s really happening here is history re-asserting itself. This district, which comprises most of the old 6th and 5th districts from before the 2000 merger and reorganization, has a history of electing both Republicans and Democrats. Until 2002, Democrat James Maloney represented the 5th district, while Nancy Johnson represented the 6th as a longtime incumbent. They faced each other in a very Republican year when the districts were merged, and Johnson won. That, of course, means that most of the district is not averse to voting for a Democrat, despite other Republican-leaning tendencies, when the need for change strikes them. The 5th district has had higher turnover than any other district over the past fifty years, and since 1970 incumbents in that district have served an average of only three terms. National events seem to have a bigger impact here, as well. For instance, Johnson defeated Maloney in a very Republican year nationwide. Maloney himself came to power on Bill Clinton’s coattails in 1996, while John Rowland won in 1984 with the help of Ronald Reagan. This district is very winnable for the right Republican in the right year. Is that year this year? Is David Cappiello that Republican? …Probably not. 2008 is shaping up to be a good year for Democrats nationwide, and neither the 5th nor the old 6th district have kicked out a one-term incumbent since 1946. The numbers seem to favor Murphy. Please make sure to check out Genghis' full analysis (including his trademark maps) over at the Connecticut Local Politics site. I'm very happy to announce that HatCityBLOG is now a part of the Americatowns network. Americatowns is a great service which is basically your one stop shop for local events and community news happening in Danbury. In the coming days, you'll see more content on this site via Americatowns including a community calendar (which is long overdue on this site). Give Americatowns a try, trust me, you'll LOVE it!